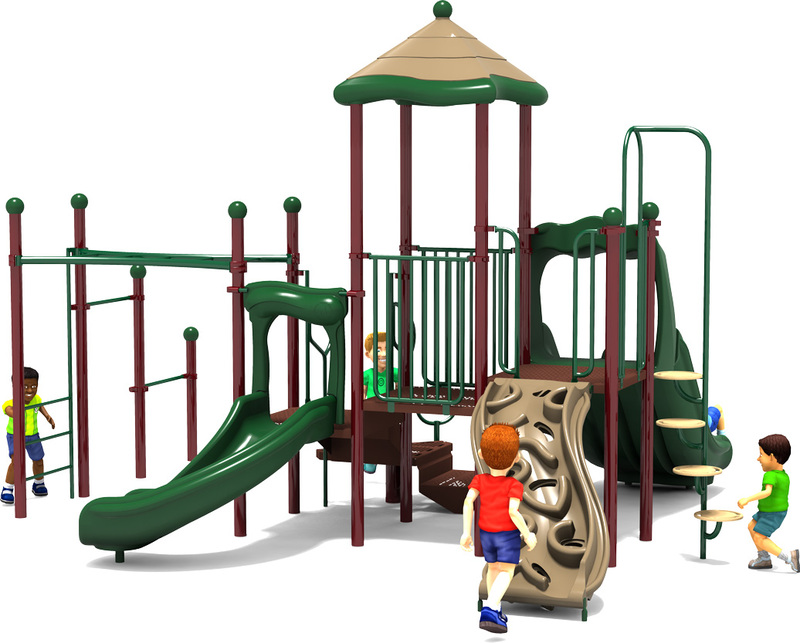 Fun Zone is a busy center for healthy, outdoor fun accommodating up to 30 children ages 5-12. 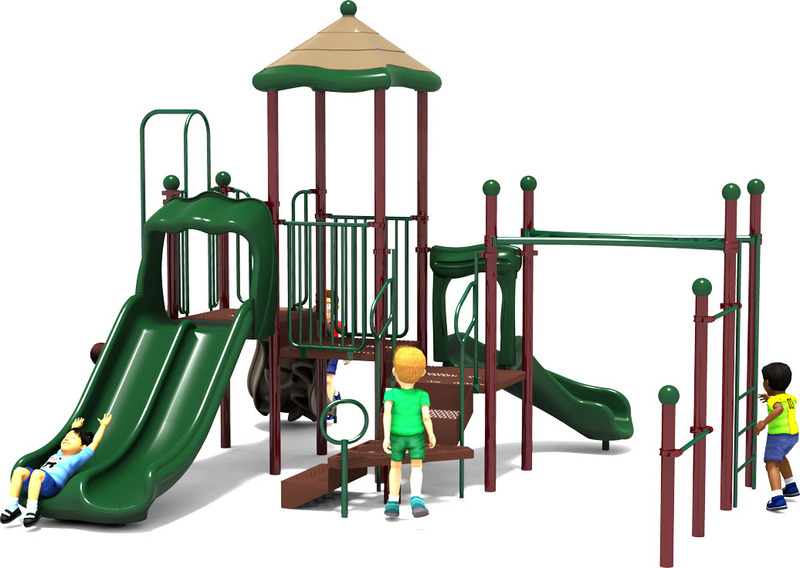 With seven engaging activities for kids, this commercial playground structure packs a lot of fun, adventure and fitness opportunities into a unique design. Safety comes first at American Parks Company and the 8 foot fall height from the top of the Fun Zone structure is supported by a variety of different safety features, including double Pipe Wall construction on the top deck. 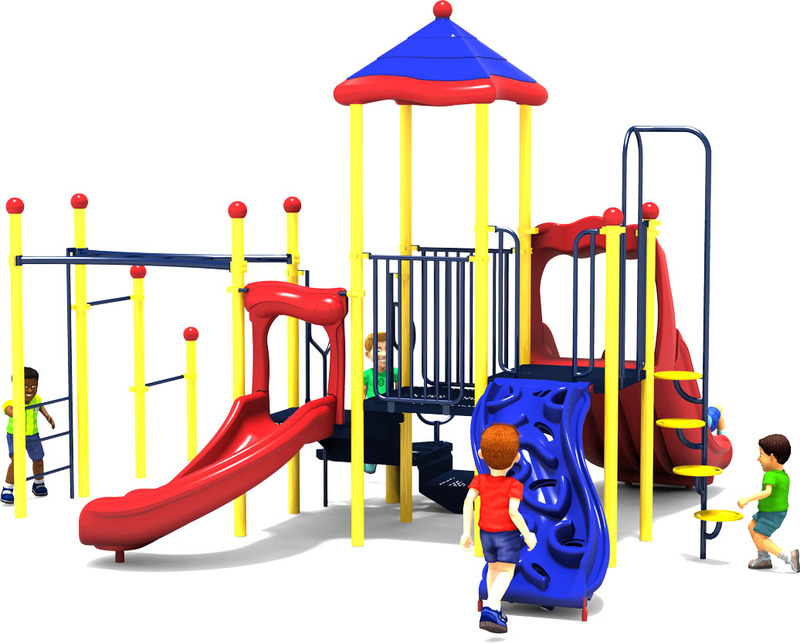 The Chin Up Bar and Horizontal Ladder encourage children to challenge their upper arm muscles, while the Spiral Step Climber is designed to help them work on valuable balance and coordination skills. 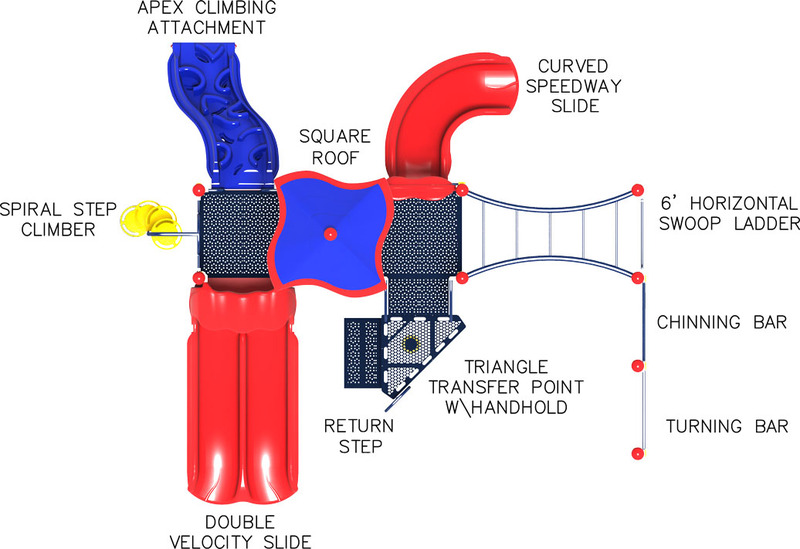 Children love the Apex Climbing Attachment which offers the entertainment of a rock climbing wall, allowing them an alternate more challenging path to the top of the structure and three slides. 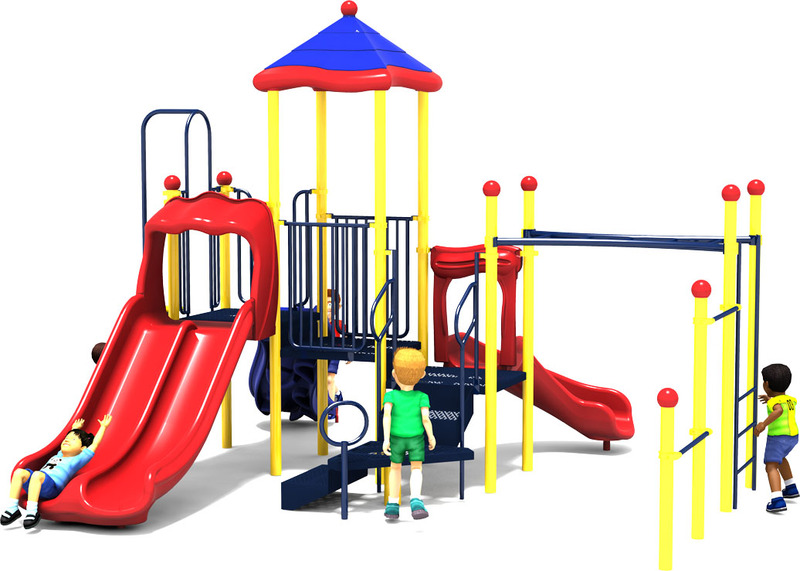 Choose from two standard color options in bright primary colors or natural, neutral tones or ask about customizing Fun Zone with a color scheme to match your existing building or other park structures. 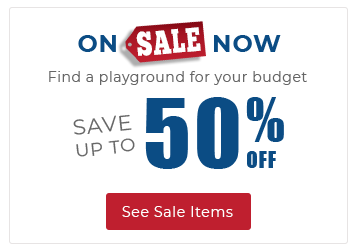 For additional safety we recommend our quality playground surfacing which comes in a variety of options including natural wood or durable recycled rubber.